Founder Nick Smith has focused his services on stunning properties north of Auckland, predominantly for clients in Mangawhai, Langs Beach and Waipu. 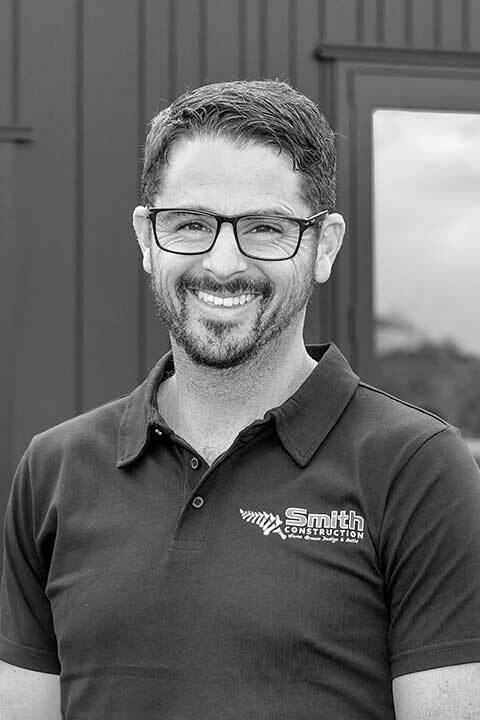 Smith Construction was established in Auckland in 2004, but Nick soon recognised a gap in the Northland market for building high-value, architectural homes. His business has been operating locally for 12 years. Armed with a passion for workmanship and fostering strong client relationships, the business has rapidly grown to include a dynamic portfolio of projects and a dedicated team of building professionals. For peace of mind, all work is covered under NZCB’s Halo 10 Year Residential Guarantee Insurance. Nick believes good communication drives a successful result. Keeping an open dialogue between team, client and industry partners, he strives for efficiencies in all areas of a project. Paying close attention to materials, budget and timeline are his strengths. For Nick, a partnership approach begins very early in a project, from help in choosing land packages, liaising closely with architects and designers (from initial concept stage), to project management of a quality build, right through to advice on landscaping and a smooth handover of keys. Delivering premium homes requires a passion for innovation. Nick is a life-long learner, staying at the forefront of building ideas and gathering a team around him who also strive for excellence. Nick and his young family enjoy all the trappings of a coastal and country lifestyle. They are advocates of Mangawhai’s vibrant community and laid-back lifestyle, and look forward to discussing your next project with you. Our carefully selected team strive to keep the building experience inspiring for every client. Between us, we have gained the trust and respect of NZ’s most innovative architects, sub-trades and industry partners. Meet Craig, a veteran of the industry with three decades of experience and sharpening of skills. Craig is a thoughtful builder, a true problem solver. He can review a plan and instantly know how to bring it to fruition – that’s his favourite part of the job, “Some of our clients have held a vision in their heads for years of what their dream home could look like, but it’s tough for some people to think in 3D. By being able to visualise the build we can translate that for clients. I love bringing it to life and seeing their excitement as it takes shape. “ Mangawhai has won him over because of its laid-back nature, contrasted by a busy and fun summer season. Clients appreciate Nathan’s organized manner, his regular communication and fastidious workmanship. Having enjoyed building for nearly 20 years, he thrives on the more challenging designs and looks to incorporate new technologies into every project. Nathan believes the building site culture should be a positive experience for clients, sub-contractors and the team. “If everyone has a common goal of accuracy and working hard, the project goes smoothly and is incredibly rewarding.” When the tools are down, Nathan loves the local beaches and mixing with a community of good sorts. Over 13 years in the industry, Lars has earned a reputation for building strong relationships with clients. Placing an emphasis on good communication at all stages, he also believes the key to success in his role is impeccable organisation. “To enjoy what you do, I think it pays to be structured and always a step ahead. By regularly checking-in with all parties we can prevent any guesswork or risky assumptions.” Outside of work you’ll probably find Lars at his favourite food stop; The Mangawhai Deli! He relishes the winter months when this beautiful coastal town is a little less busy.